Fresh celery from the garden is an amazing vegetable. A lot of the wonderful celery flavor is in the leaves, which are usually discarded before you get them when you buy it from the store. 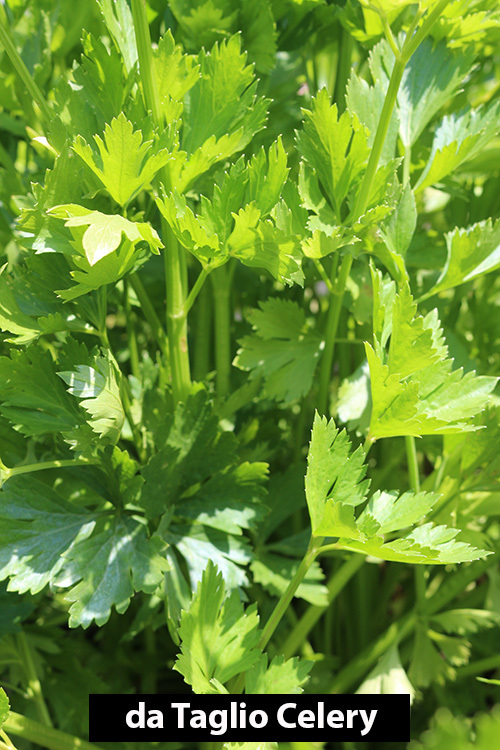 Celery leaves are a delicious addition to any soup or stew, and can be used as a fresh herb or as a salad green. 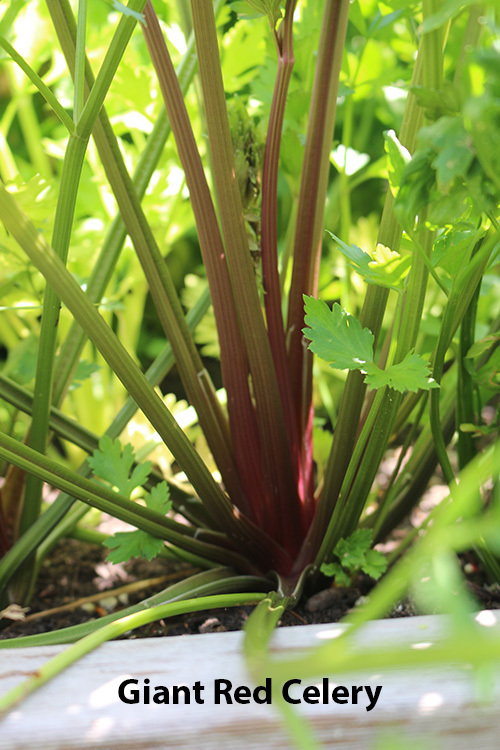 Celery is a slow growing vegetable that prefers cooler temperatures. It is best to start it indoors long before you want to transplant it into the garden. I like to start it in February here in Michigan, so if you are in a warmer place, you might even want to start it by Christmas. The red varieties are more likely to become bitter when your weather warms, so if you live in a warm climate it is best to grow the green and yellow varieties or harvest the red ones early before the weather gets too warm. Celery seeds are very small, so they need to be surface sown. I start my celery in small pots, scattering a few seeds on the surface of the soil. I lightly tap the surface, allowing the seeds to fall under a little bit of soil, but not buried. The optimal germination temperature for celery is between 70 and 75 degrees. If you keep your house warm, then you don't need a heat mat. I start mine in the greenhouse, and in February it is pretty cold in there, so I use a heat mat. Follow the Basic Seed Starting Instructions for watering. Celery takes 2-3 weeks to germinate, so you need to be patient. 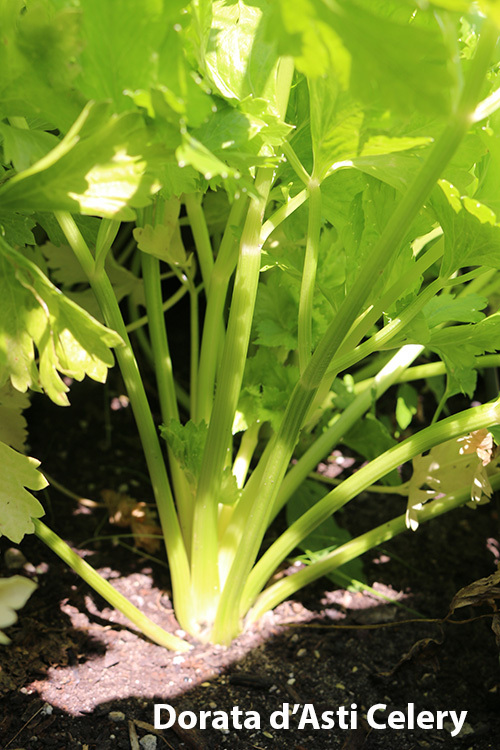 It is time to transplant your celery into the garden once your night temperatures are consistently above 55 degrees. Long periods of cold night temperatures will cause your celery to bolt. It is best to harden off your seedlings before transplanting. Hardening off is getting them used to the wind and weather conditions of being outdoors. Exposure to a lot of wind and sun can dehydrate your seedlings and cause them to die. Put your seedlings outside on a nice day in a protected location for an hour the first day, and then for longer and longer times every day following. Make sure to water them well and to keep them indoors on really windy days or days with bad weather. After a week or two they will be ready to plant in the garden.